Product based website for luxury hardware brand. 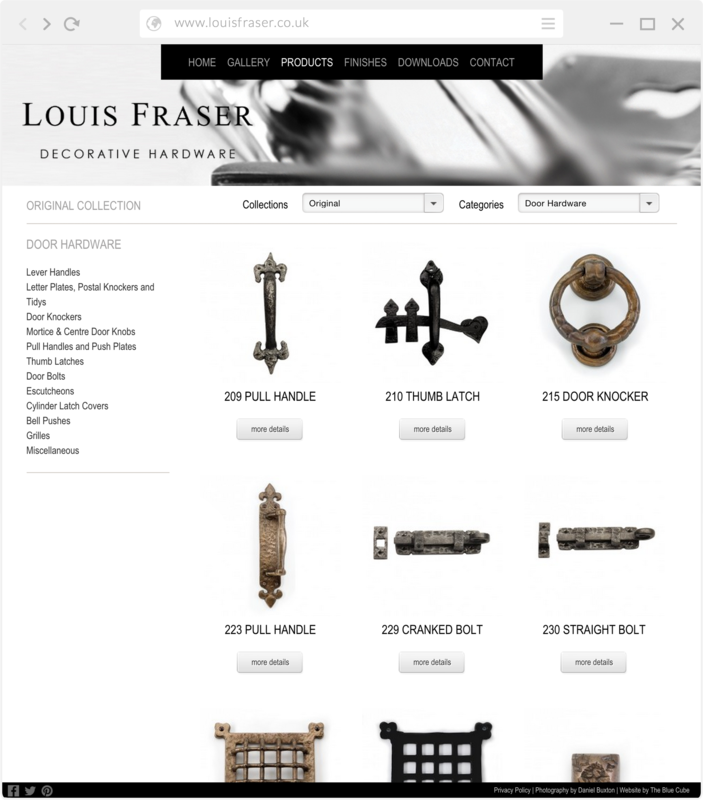 Louis Fraser launch their new website promoting decorative hardware products, with a keen focus on user experience and usability. Whilst working with The Blue Cube, I lead the design of the new website. The process was particularly rewarding as the products were stylish and the client had some fantastic imagery to guide and enhance the visual appearance. We began sketching storyboards and wireframes to highlight the user journey through to product details containing clear call to action, which really helps to demonstrate how a website might function, concentrating on what will work for the user. Then we focused on visuals, experimenting with different typography and colour schemes working up to initial design concept, working with the client to refine those pages until we were happy. I continued to build the front-end, we’d agreed that WordPress would be used to manage content. The framework was developed to include a responsive grid, ensuring that the site displays just as well on all devices. With the assistance from the more technical guru’s at The Blue Cube, we developed a simple, easy to use system within WordPress that would allow the client to add and edit their products and upload an complete new range, making it as future proof as it could be. 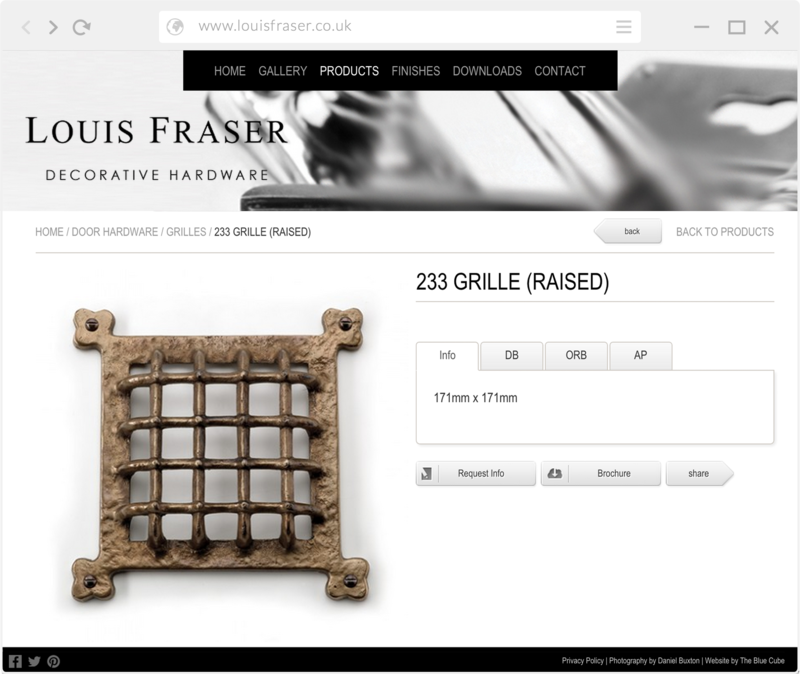 Louis Fraser now have a website to match their stunning brochures that showcase their beautiful products in a creative manor.